In this article I have discussed the 2 possibilities that can play out in Gold (XAU USD). region, from there on more possibilities should become clear. 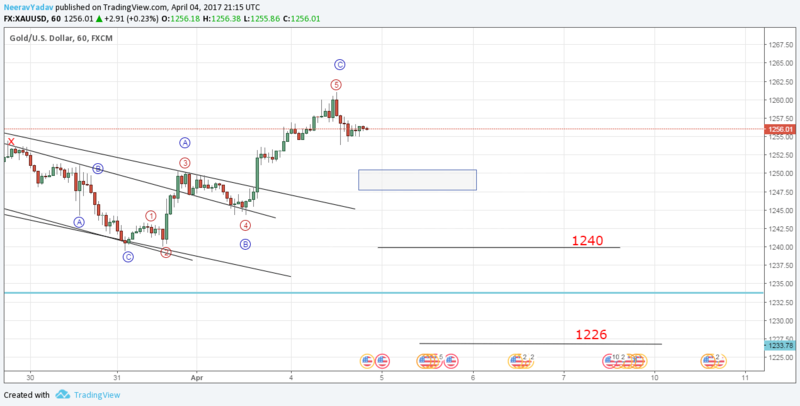 If this market is moving as a Flat then we can see the levels of 1240 and 1226. I will update further as this market proceeds.